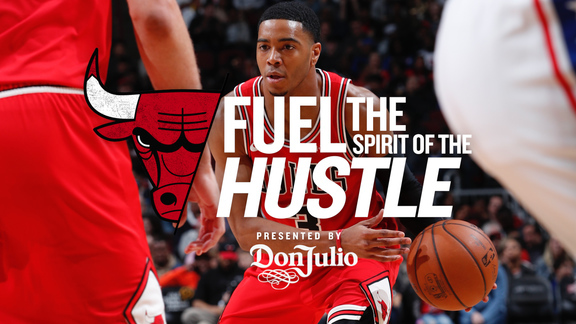 vs Detroit Pistons, March 22 - With the Pistons and Bulls coming into this game sporting identical records and both fighting for a playoff spot, this game served as a major crossroads in the Eastern Conference postseason picture. In a wire-to-wire team win, Lauvergne perhaps shined brightest, dropping a season-high 17 points and 7 rebounds and showing all the signs of what makes him a prospect as a big man who can stretch the floor. 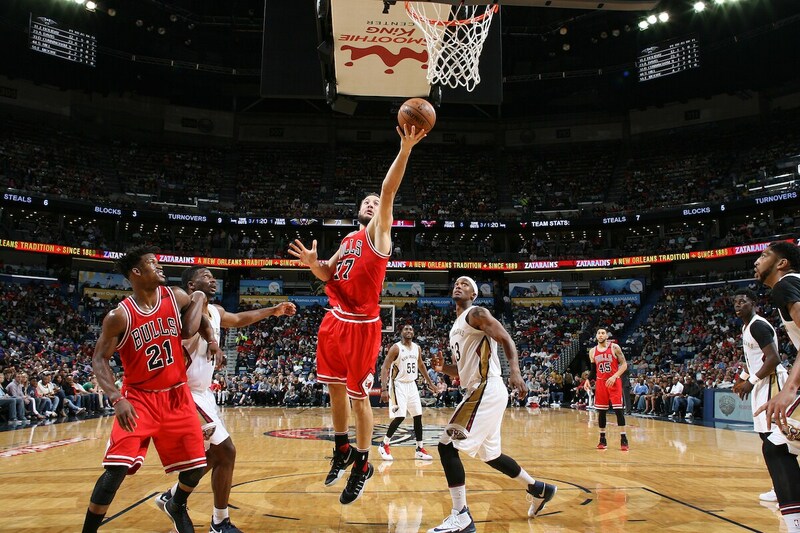 at New Orleans Pelicans, April 2 - The Bulls made the postseason by winning 7 of their last 9 games, and a major key to this run was a couple of big road wins the team picked up, including this one in New Orleans. Facing the Pelicans’ fearsome front court of Anthony Davis and DeMarcus Cousins, Lauvergne more than held his own, shooting the ball well in 20 minutes including hitting some timely buckets in the fourth quarter as the Pelicans threatened to make a run. 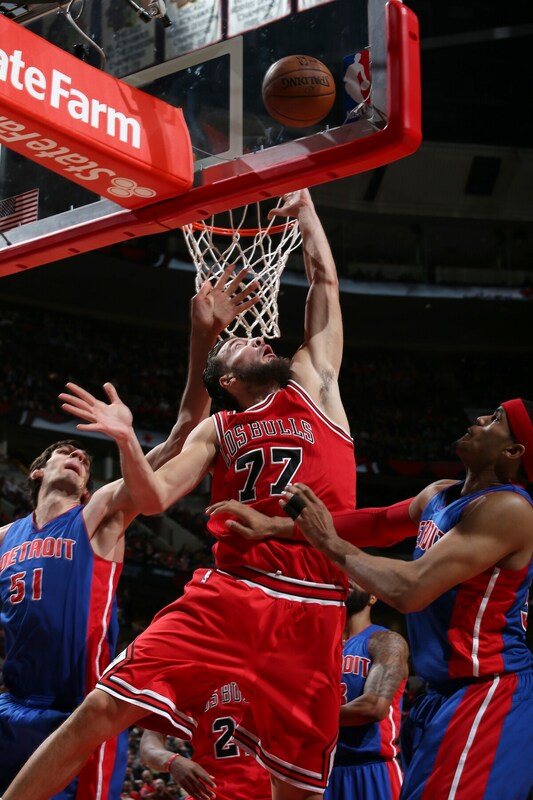 Lauvergne’s shotmaking, particularly from downtown with three triples, was huge in this game, and he came up big in one the Bulls badly needed. 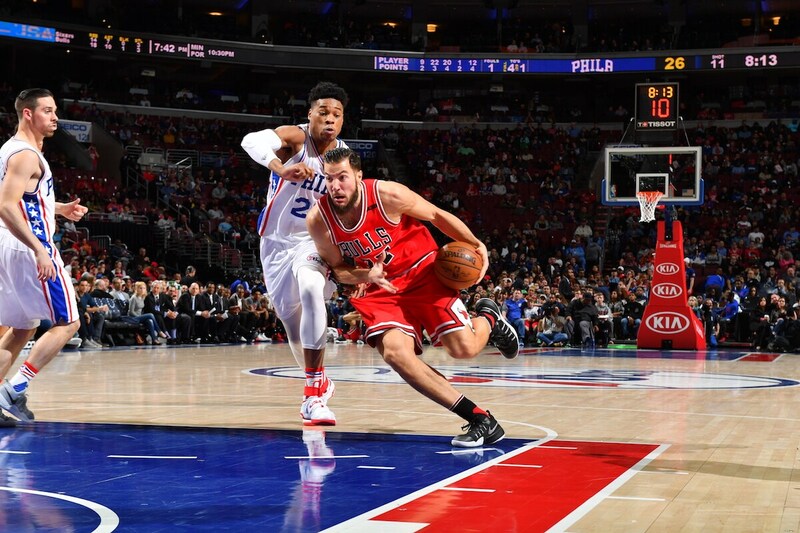 at Philadelphia 76ers, April 6 - In another big contest the Bulls needed to win on the road, Lauvergne helped the team bounce back from a loss a couple weeks earlier to the same Sixers team by shooting the ball well in his 14 minutes and supporting a big effort from Jimmy Butler in a big Bulls win. Though he didn’t play big minutes, he was effective in the minutes he did play and showed himself as a viable asset off the bench.